Do you struggle to find time for yourself or find it hard to “switch off”? Do you have an endless to-do list, but can’t seem to get things done? Do minor setbacks feel like the end of the world? Do you rely on coffee or sugar to keep you going? Do you feel overwhelmed and unable to cope with life’s challenges? If you answered YES to any of the questions above, my personalised nutrition programme to boost your mood and relieve the effects of stress can help. Our hectic modern lives often leave little time to look after our physical health, let alone our mental wellbeing. But did you know the food we eat not only affects how our bodies function, but can have a huge impact on our psychological and emotional health too? What we put on our plates can make a world of difference to our happiness, on many levels. In fact, your brain and digestive system are in constant communication with each other. Stress in one area, such as eating a diet high in processed foods, sugar and hydrogenated fats, can have a big impact on how well you cope with stress in other areas of your life. Your gut is home to millions of nerve cells which provide information to the rest of your body and importantly, your brain. So if your diet is under par it can have an impact on everything from your energy levels to your mood and mental clarity. In today’s 24/7 culture, avoiding stress completely is nigh-on impossible. The key is to provide your body with the right tools and support so you are better able to cope with life’s ups and downs. The good news is that with targeted diet and lifestyle measures, building up your natural resilience is completely achievable. 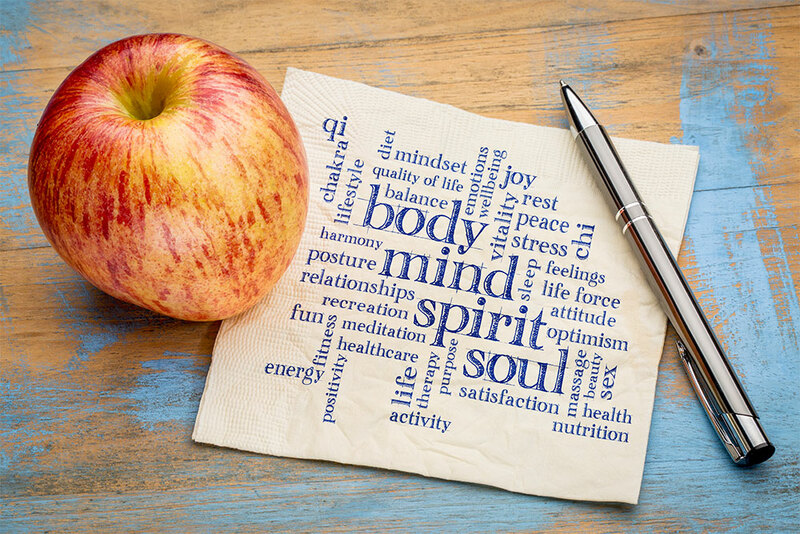 Fill in your details below to arrange a free 15 minute consultation to learn more about how you can support your mood and mental well-being with nutrition.